My evening routine serves one main purpose: To make my mornings easier. I never knew the importance of having an evening routine until my oldest son started Kindergarten. After that– I learned real quick that racing against the clock in the mornings wasn’t for me. As simple as it sounds… the secret to a productive morning is most definitely preparing the night before! How do I make an evening routine? What stresses you out about it? What do you think takes up too much time? What do you always wish you would have done the night before? What would make it easier/less chaotic? Your evening routine’s main goal is to make your mornings easy + stress-free. 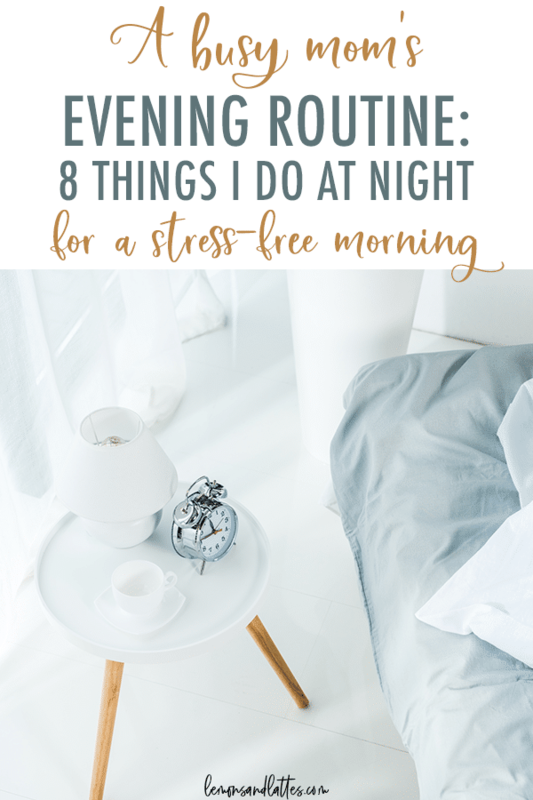 Do you need some evening routine ideas to get you thinking? Here are a few things I do at night/in the evenings to set my mornings up for success. The very first thing I do in the mornings is make coffee. I love the fancy $4 lattes as much as the next mom, but it’s much cheaper to make your own coffee at home + I don’t have to leave the house before I get that first sip. That first sip of coffee is the best! This doesn’t take long at all. I’ll give the coffee pot a quick rinse, toss the coffee grounds from the day (We love the McCafe breakfast blend), add more + water, and it’s ready to know. Then, the only thing I have to do the next morning is press a button. Next, as part of my evening routine, I like to clean up the kitchen so that I’m not waking up to a mess. Waking up to a clean kitchen alone is enough to make your mornings better if you ask me. Keep in mind, this is not a full-blown cleaning spree. It’s more like a picking up toys here and there and putting things back where they go kind of thing. And I usually only do this for our main living room area and sometimes the bathrooms. I’ll just do a quick run-through grabbing anything I see that’s not in its proper place. I also check my son’s backpack every day. He’s still in Elementary school, so there’s almost always something I need to sign or read. While he’s working on his homework, I’ll go ahead and pack his snack for the next day. This works for us much better than trying to remember #allthethings in the mornings when we’re all sleepy and trying to get out the door. If I’m feeling particularly weighed down by my thoughts and things I need to do, I’ll do a brain dump. 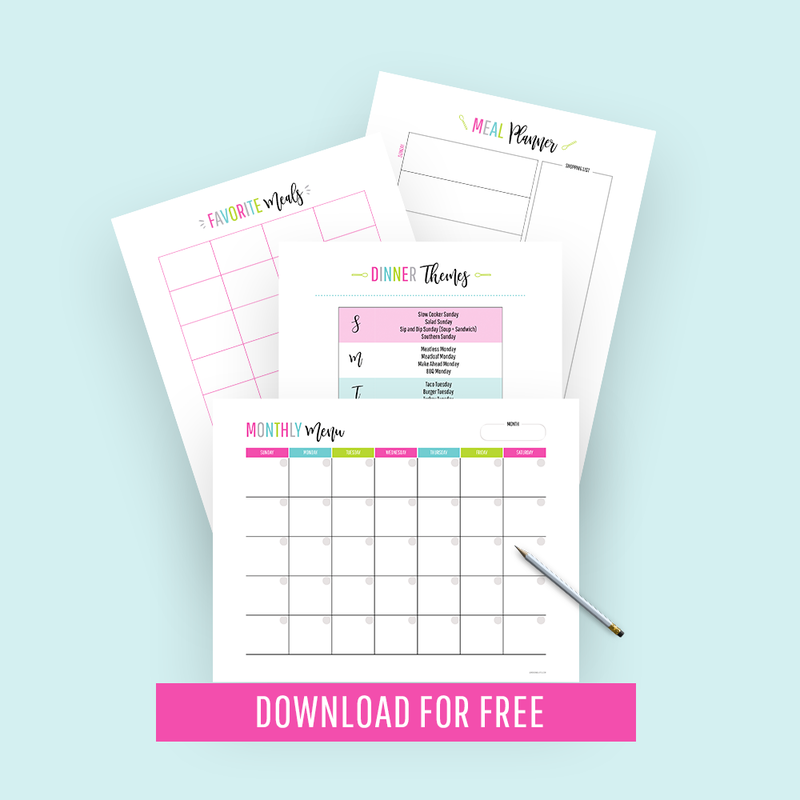 I’m a huge fan of creating to-do lists– or just lists in general, but sometimes that list seems wayyyy too long, cluttered, and overwhelming. That’s when I know it’s time for a brain dump. Simply put– a brain dump is where you list out every single thing that’s on your mind so that you can sort through your thoughts, prioritize, and actually be productive. I love planning our dinners ahead of time because it helps me stay sane + it saves us money to not constantly hit up the drive-through. Plus, I’m still working on those last few pounds of losing the baby weight so bring on all the healthy dinners. So, the night before, I’ll do a quick check to see if I need to take anything out of the freezer so it can start thawing in the fridge. Sometimes I’ll relax with a cup of herbal tea (Yogi’s blends are my favorite) or a glass of red wine. Whether you’re a working mom, a stay-at-home mom, or a work-at-home mom– Know that you work hard and you deserve a little time to relax even if it’s just for 20 minutes after the kids are in bed. And finally, I like to go to bed early as part of my evening routine. I’ve found that I feel my best when I’m getting at least 7-8 hours of sleep. It’s hard to be productive the next day when you can’t stop yawning, ya feel me? Right before bed, I also try to limit screen time as bright screens can hinder the production of melatonin (source). 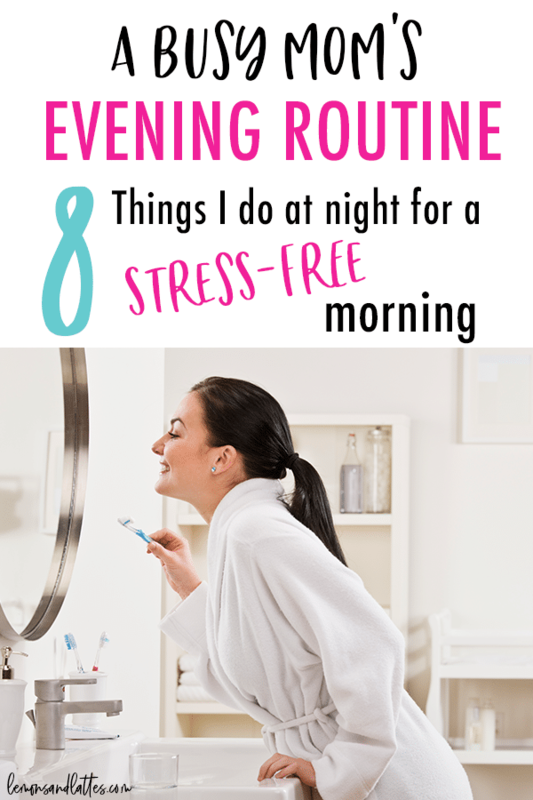 Do you have an evening routine yourself? Plan to create one? I’d love to hear all about it!